Mai Chau is a small town in Hoa Binh province which is about 170 km from Hanoi. It is an amazing place for those who want to get out of the crowded. Coming to Mai Chau, you will be supprised by the green moutain view as well as typical culture of Muong Ethnic people here. - 6:30 am - 7.00 am: Our guide and car/ taxi picks you up at the hotel in the Hanoi Old Quarter then takes 30 minute to My Dinh bus station. At the bus station, you get the ticket and get on the big bus. 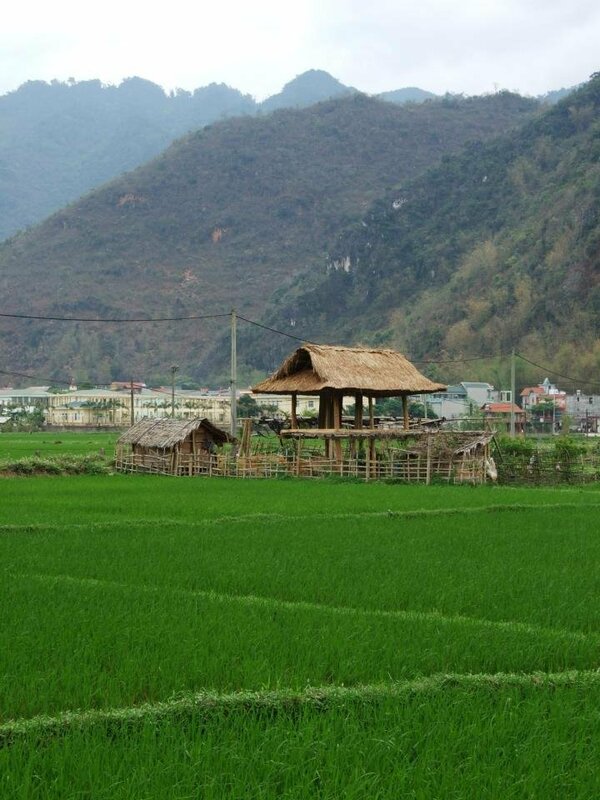 It takes 3 hours to Mai Chau. On the way, we have 1 times for shortbreaks for bathroom. You also can find you some snacks for breakfast there on your own. 10:30 am: Arrived Mai Chau (last stop). Included: English speaking guide, car or taxi to bus station in Hanoi, bus ticket to Mai Chau. - 12:30 pm: Our guide and car/ taxi picks you up at the hotel in the Hanoi Old Quarter then takes around 45 minute to My Dinh bus station. At the bus station, you get picked up by bus driver/ staff to the big bus. 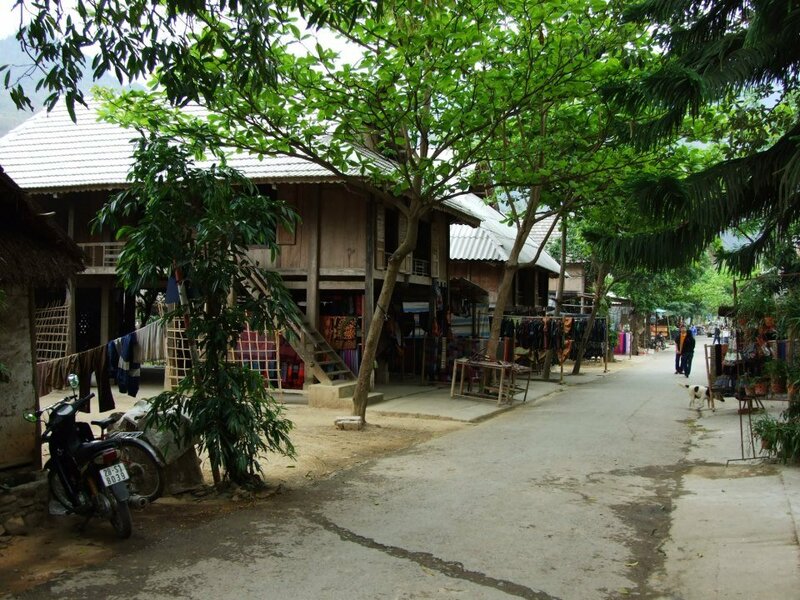 It takes aound 4.5 hours to Mai Chau. On the way, the bus will make some short breaks for bathroom. You can also find some snacks on your own. 16:30: Arrive Mai Chau, get dropped off at the bus stop/ bus station (last stop). Included: English speaking guide pick up to get on the car/ taxi, car/taxi to bus station in Hanoi, bus ticket to Mai Chau. Hanoi Oldquarter – My Dinh bus station – Ha Dong district – Hoa Binh city – Mai Chau village (last stop). 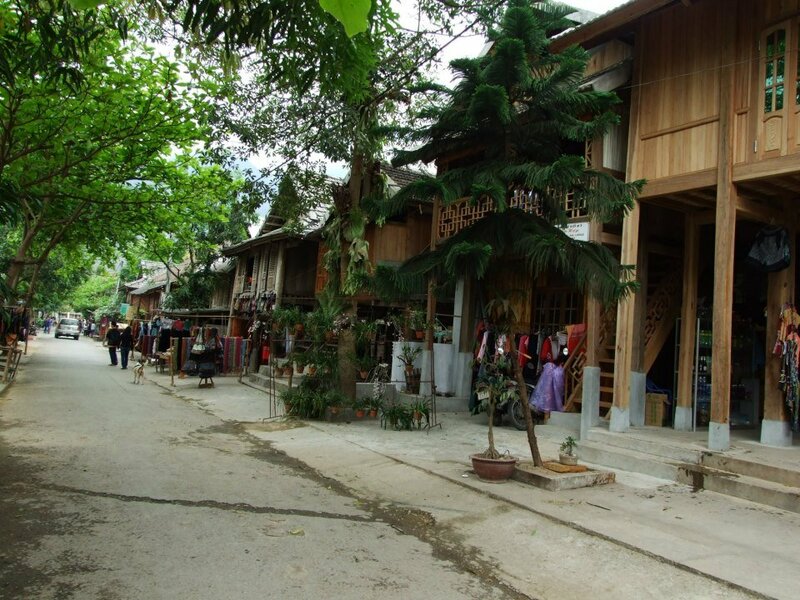 7:30 am: We pick you up at your hotel in center of Mai Chau villages to Hanoi. 11:30 am: Arrived My Dinh bus station (last stop). 12:30 pm, we pick you up at your hotel in center of Mai Chau villages to Hanoi. 16:30: arrive My Dinh bus station (last stop). 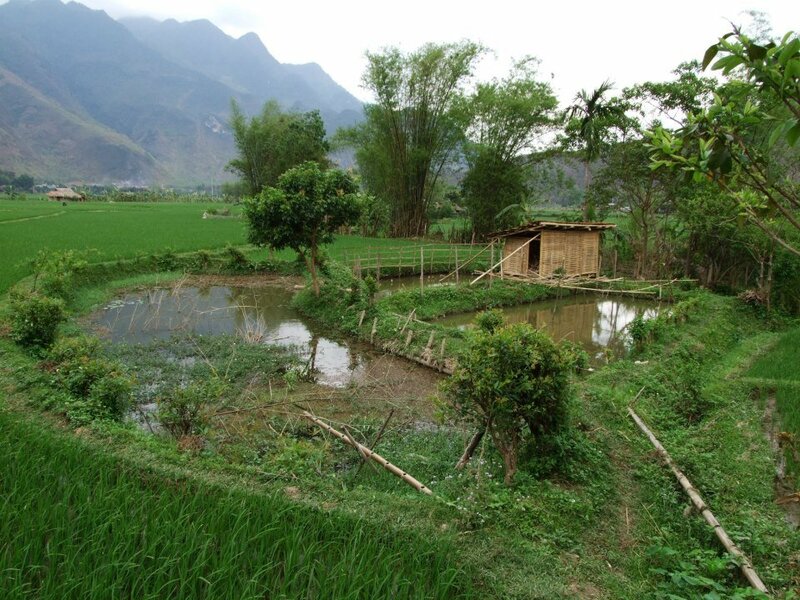 Included: Bus ticket from Mai Chau to Hanoi. Hotel in Mai Chau –Hoa Binh city – Ha Dong district - My Dinh bus station (last stop). You can rent motorbike in any travel agencies in Hanoi to slowly driving to Mai Chau city then Ban gioc waterfall and back . For a good quality for mountain roads motorbike, it costs about 8 USD per day which can be for 2 people sit on. You should drive slowly to enjoy landscapes and stop for photos shooting on the way. Therefore you should have a stop overnight somewhere on your way. !!! Warning: You should be carefully before renting because roads to Mai Chau are very dangerous with high passes, uphills way, specially in the dense fog. 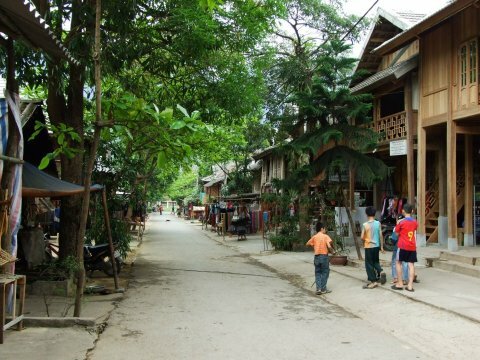 You can book and join a tourist bus from companies who organise tours to Mai Chau but it really depends on your luck. Because tour from Hanoi to Mai Chau only departure on a fixed day in month. Therefore, sometimes you can book - sometimes you can not. And it can be cancelled in a short advance when they cant collect enough customers to make their tour run. 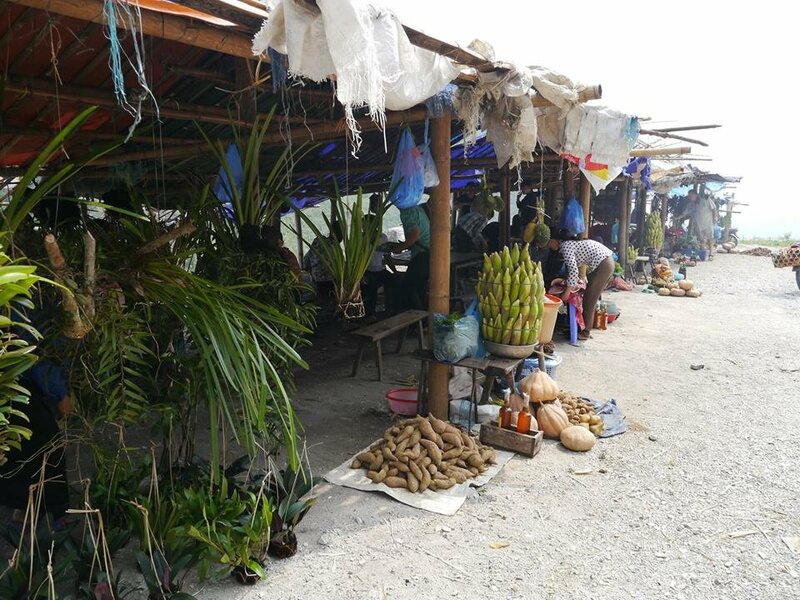 - During festivals time in Vietnam (Independence holiday, King ceremony holiday, New Year holiday...), local people often plan their holiday in advance. Bus tickets to Mai Chau mostly fully booked very soon. Therefore it is difficult for you to purchase ticket by yourself if you have a narrow plan. 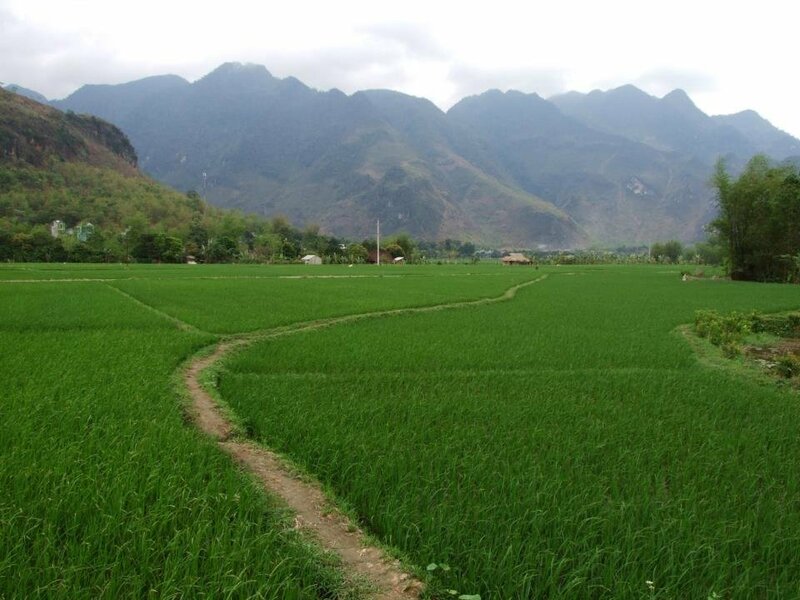 - At Mai Chau you can rent motobike to discovery everywhere about 10$ per day. If you want to carry motobike from Hanoi, we can only carry Honda Wave, Win motorbike, and you have to pay extra: 25$ per motobike.You shouldn't miss Chieu cave, it is one of my favourite cave in the North of Vietnam. You can visit Mai Chau year but the best time to visit Mai Chau is in April, May, June, August. Because it rains much during this time, a lot kinds of flower bloom very strong. September, October are also a good season to have wonderful view of rice terraces around this area.